In the book In Their Time, Anthony Mayo and Nitin Nohria profile some of the greatest business leaders of the twentieth century. 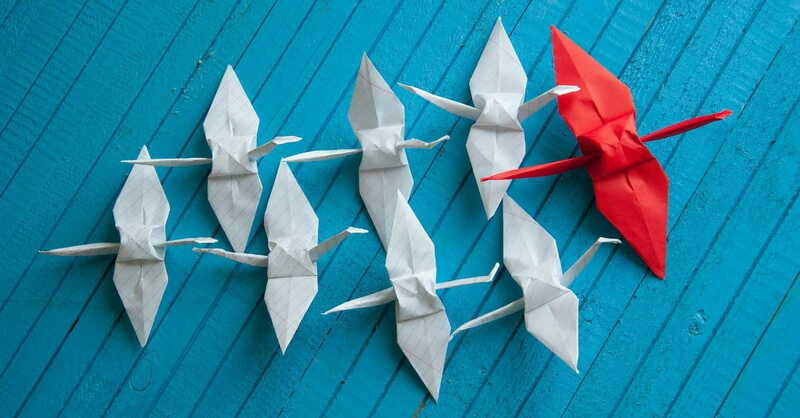 Those leaders lived in different eras, worked in different industries, and faced different chal­lenges, but the authors found one common denominator among them—contextual intelligence. It’s the differentiating factor between success and failure in for-profit and nonprofit dreams. Great leaders possess acute sensi­tivity to the social, political, technological, and demographic contexts that define their eras. It was true of Steve Jobs, who had a vision for an all-in-one computer in every home. It was true of Elizabeth Fry, who fought for social reform in nineteenth-century England. And it was true of David’s mighty men, who led a political revolt in the tenth century BC. From the tribe of Issachar, there were 200 leaders of the tribe with their relatives. All these men understood the signs of the times and knew the best course for Israel to take. For the record, the other tribes are referred to as warriors or soldiers. Only those from the tribe of Issachar are called leaders. Why? Because of their contextual intelligence. They didn’t just have a pulse on the social, political, and spiritual temper of the times. They were innovators and entre­preneurs who knew how to turn their ideas into strategies. Contextual intelligence is the ability to spot opportunity where others don’t. That’s what sets leaders apart; that’s what sets them up for success. Call it a sixth sense. Call it gut instinct. Lion chasers see and seize the deci­sive moment. In 1893 a $10,000 Congressional appropriation established Rural Free Delivery. Until then Americans living in rural areas rode their horses into town to pick up their mail at the general store. RFD provided mail service to rural residents for the first time. Two enterprising businessmen, Aaron Montgomery Ward and Richard Sears, saw a new distribution channel for their products. They produced so many catalogs that they became the sec­ond most widely read books in the country after the Bible. Two thousand years ago Jesus said, “Go and make disciples of all na­tions.” He gave us a green light, but He didn’t tell us how to go. For the better part of twenty centuries, it was on foot, on horseback, or by ship. Now we go by plane, train, and automobile. We can even “go” at the speed of light, circumnavigating the globe six times per second with a digital gospel. The game has changed, but the rules haven’t. There are ways of doing church that no one has thought of yet. We shouldn’t just be trend spotters. With the Holy Spirit’s help, we should be trendsetters. If you want to reach people no one is reaching, you might have to do something no one else is doing. To be clear, the gospel doesn’t require gimmicks. In the same breath, irrelevance is irreverence. Innovation is a form of incarnation. And anything less is laziness! What I see in Eleazar is a man who understood the times. He not only saw an opportunity, but he seized it. He didn’t shrink in fear. He stepped up, stepped in. And most important, he knew what battlefield he was will­ing to die on. As a dreamer, you have to choose your battles wisely. There are lots of kingdom causes that I care deeply about, but I can’t devote my time, talent, and treasure to all of them. I can’t be on the front lines of every fight. Some­times I cheer others on from the sidelines with my giving, my praying. But like Eleazar, you need to identify the battlefield you’re willing to die on. Then you need to fight the good fight until your hand freezes to the sword. In his brilliant book The Anointing, R. T. Kendall talks about the dan­ger of becoming what he calls yesterday’s man. People who had a tremen­dous anointing on their lives yesterday can live off the momentum of that anointing for a while. Some people even think the anointing is still on them, but it’s the momentum of yesterday’s anointing. I need God’s anointing today more than I did yesterday. And I’ll need it even more tomorrow than I do today! Without it, I’m below average, and I’ll eventually become yesterday’s man. With it, the law of averages is out the window! We don’t just let the future happen; we make it happen with God’s help. What got you here might not get you where you need to go next. At critical junctures you have to jump the curve. You have to reinvent yourself, reimagine your life. That’s what dreamers do. Truth be told, I embrace the pressure that puts on me. In fact, I think it’s healthy and holy. Excellence honors God, so we need to get better and better at whatever we’re called to do. And it happens little by little, day by day. That positive stress, eustress, forces me to seek a fresh anointing each and every day. Without it, I’m coasting. With it, I’m gaining momentum. Mark Batterson is the lead pastor of National Community Church, one of the most innovative and influential churches in America. 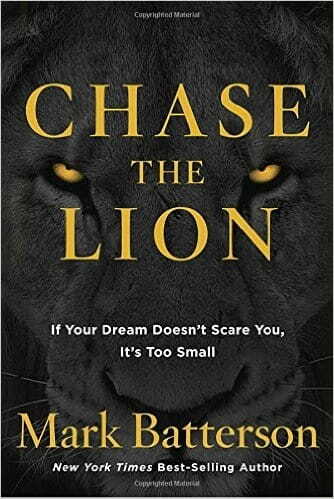 He’s also the New York Times best-selling author of a dozen books, including In a Pit with a Lion on a Snowy Day and his newest, Chase the Lion: If Your Dream Doesn’t Scare You, It’s Too Small. Visit him at www.markbatterson.com. Adapted from CHASE THE LION. Copyright © 2016 by Mark Batterson. Published by Multnomah, an imprint of Penguin Random House LLC.